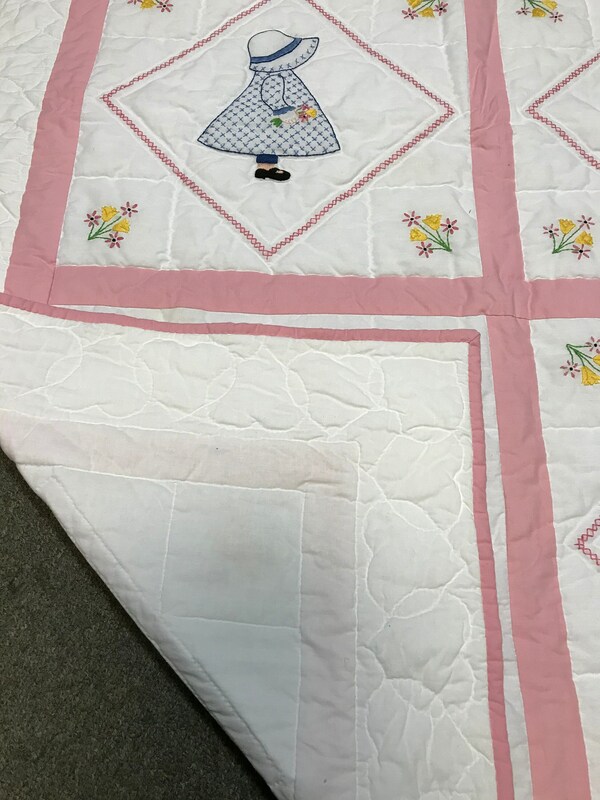 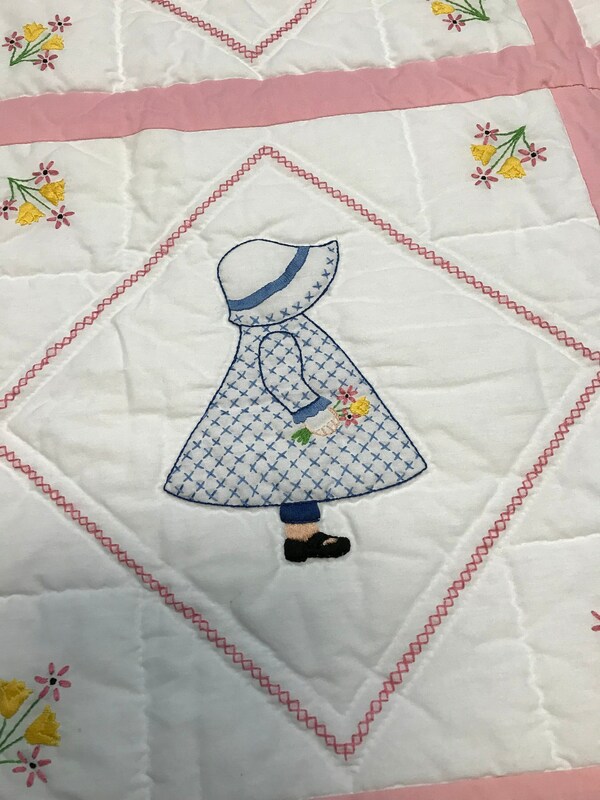 Beautiful pink and white embroidered Sun Bonnet Sue baby quilt. 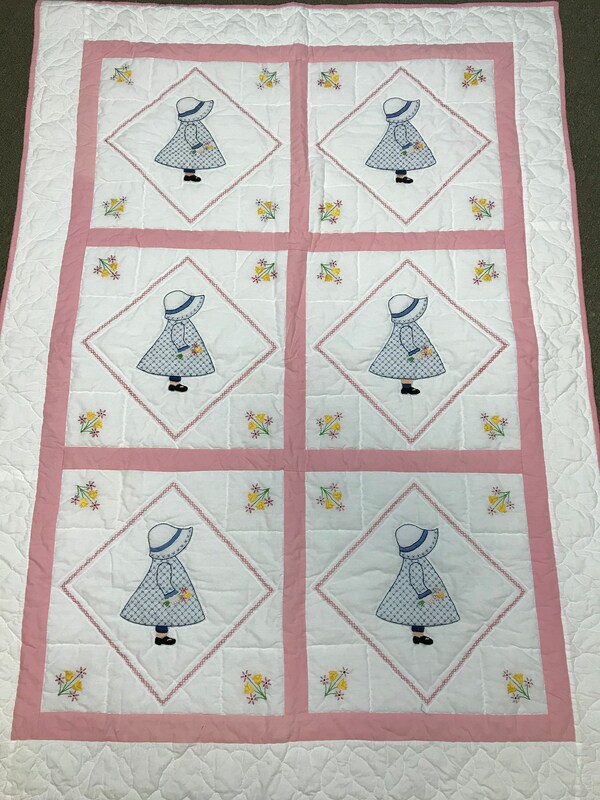 How precious would this be to give to a sweet baby girl? 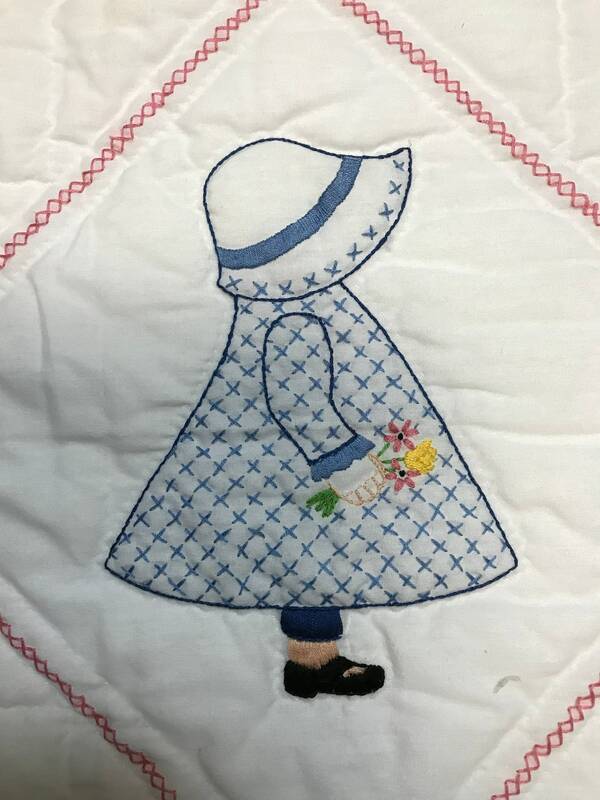 You will love the intricate detail in the adorable quilt.